In January, 2015 was born the River Jazz Festival. Three places, two weeks, one festival! Three places with quite different missions and functioning methods, united to create two weeks of Jazzistic meetings. About fifty musicians are invited through an eclectic programming, according to the image of the three places : the Marni Theater (Ixelles), the Senghor Cultural Center (Etterbeek) and the Jazz Station (Saint-Josse-ten-Noode). Each of us are preparing the program according to our own criterias. The idea is to propose a varied line-up, from contemporary Jazz to the festive merger of the world music. Unique concerts, discoveries, premieres, KIDS concerts, everything is there : there is even an common exhibition in the three places. One crossed look, plural and opened to the variety of what is “Jazz”, that allows the public to find himself in each of the editions of this young Festival. The key point of the festival stays its ending evening, always very particular : an artist is invited to a Carte Blanche to present three different projects on the same evening: one at 18:00 at the Jazz Station, one at 20:00 at the Senghor, and one at 22:00 at the Marni. 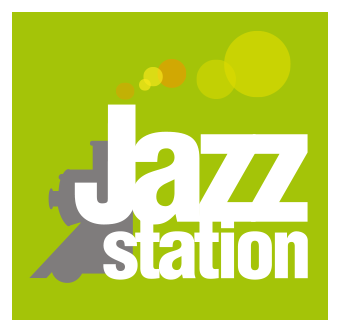 A musical marathon which the public is invited to follow by traveling, taking the former path of Maelbeek, a river that used to connect Jazz Station with Marni via the Senghor : River Jazz Festival, so ! In 2015, it is Manu Hermia who accepted the proposition. Laurent Blondiau also tried the challenge in 2016, Nic Thys in 2017, and Tuur Florizoone in 2018. For this fifth edition, Nicolas Kummert will be our guest. The success was straightaway there : press, public, organizers and musicians are delighted every year.